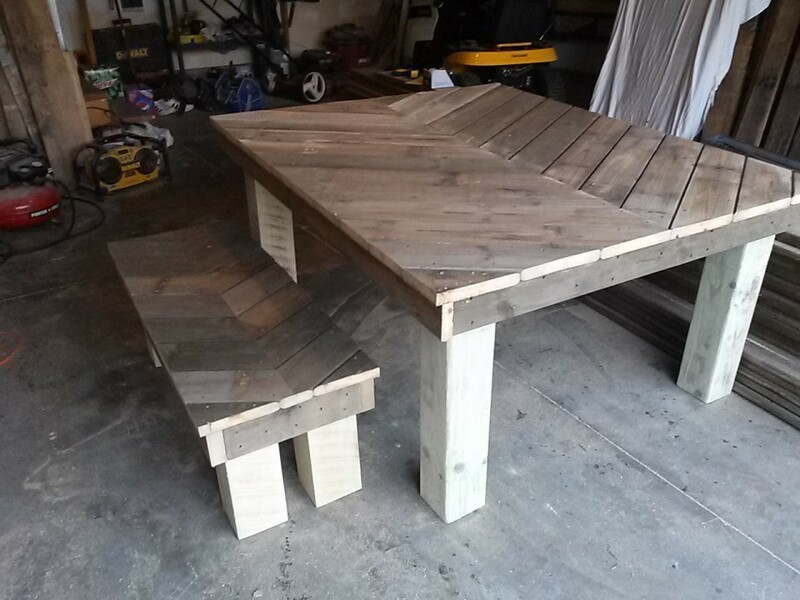 This chevron farm kitchen pallets wood table and bench is made from reclaimed pallet wood. 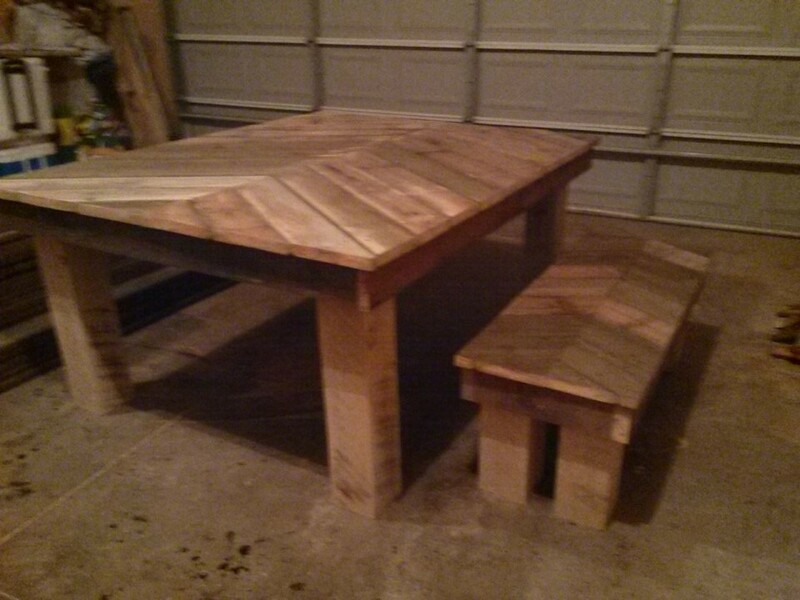 The table Measures 67×54 and the matching chevron bench Measures 47×18. 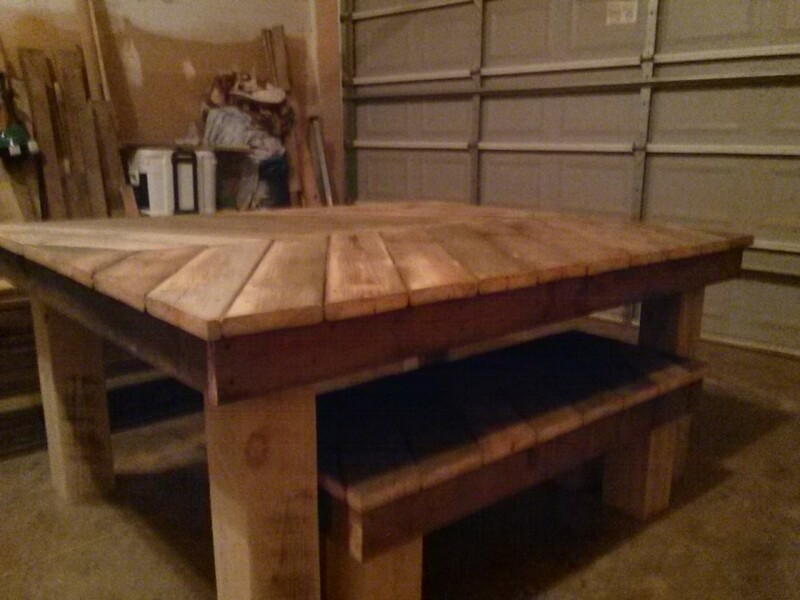 The bench slides from under the table. 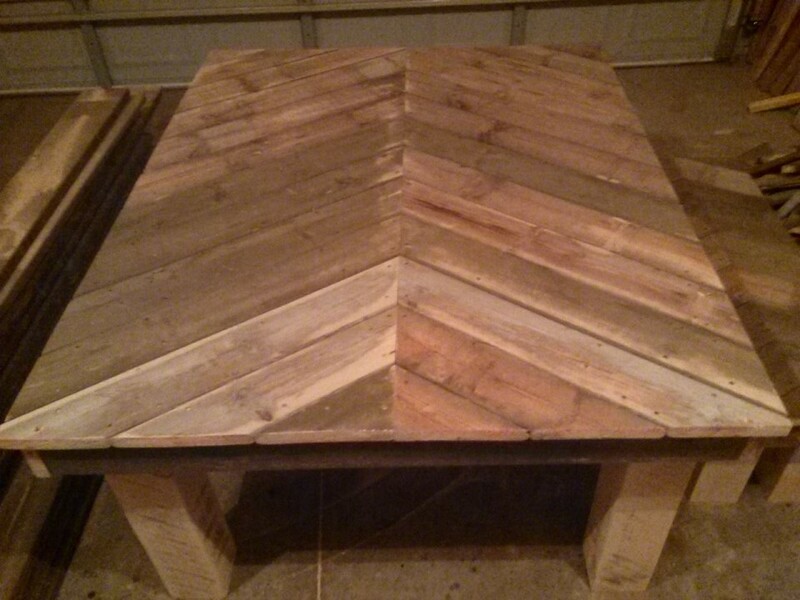 Would really enhance the beauty of farm with its chevron rustic look.